Our Superfood Seeds are grown at an altitude of more than 4.000m altitude by small families in the Altiplano of Peru. Due to the extreme height and weather conditions they have a natural content of healthy vitamins, minerals and proteins. After harvesting our Superfood seeds are carefully processed following the standards of raw food philosophy. They are 100% natural and organically grown. 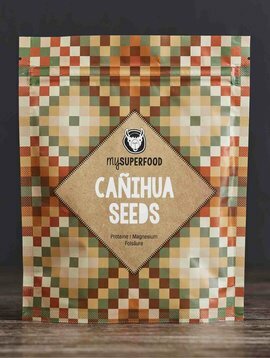 Our superfood seeds are highly suitable for use in muesly, smoothies, cereals, desserts and many other dishes - some application examples can be found at our recipes or in our blog.